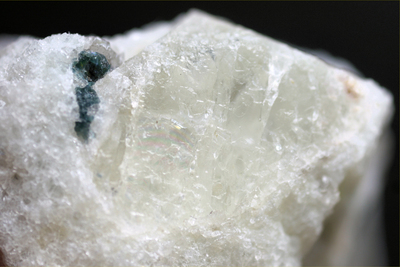 Type location for goshenite (C. U. Shepard, 1844), now a colorless or white variety of beryl. Originally, goshenite was cloudy pale pink beryl, but the scarcity of pink beryl at the locality resulted in the name being transfered to the ordinary white beryl that was reasonably available at the locality. 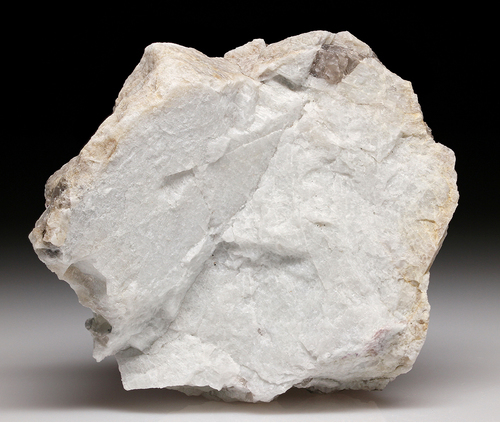 Granite pegmatite occurs as scattered boulders to five meters in maximum dimension. 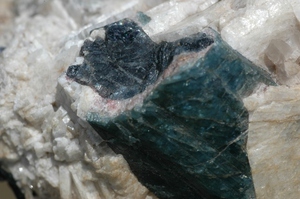 Although there are bedrock occurrences of granite pegmatite in the area, the tourmaline and cleavelandite boulders can not be traced to a particular dike. Elijah Weeks [b. August 23, 1764] owned the farm 1784-1789. Elijah sold the farm to his brother-in-law, Cyrus Stearns, in 1789. 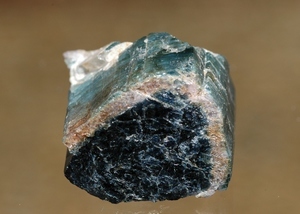 The tourmaline and other interesting minerals including tourmaline were discovered by or before 1811, when mining of the pegmatite boulders began by Dr. David Hunt of Northampton and Colonel George Gibbs of Newport, RI. After Elijah Weeks' father died in 1817, Elijah Weeks moved to Scipio, New York. In 1819, Gibbs' wrote about the locality and gave credit to "Mr. Weeks of New York" for being the discoverer of the locality. In 1823, Cyrus Stearns sold the farm to Levi Barrus. The farm sold back and forth to various people and Levi Barrus until 1845 and then Levi lived on the farm continuously until his death in 1877. Alvan Barrus, his son, inherited the farm. Although the locality was originally called the Weeks Farm, the subsequent owners, the Barrus family owned the land for such an extended period of time that the Weeks connection was all but forgotten. 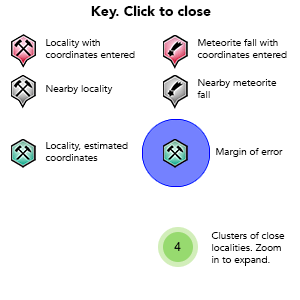 15 valid minerals. 2 erroneous literature entries. Reference: Shaub, B. M and Schenck, B. J. (1954). 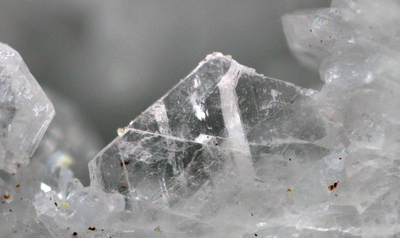 Pollucite From Lithia, Massachusetts (American Mineralogist 39:661). Reference: Januzzi, R.E. and Seaman, David M. (1976) Mineral Localities Of Connecticut and Southern New York State and Pegmatite Minerals of the World. 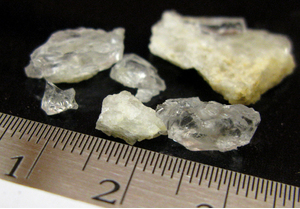 Description: Erroneously reported = beryl variety goshenite. Reference: - Shepard, Charles U. (1842). 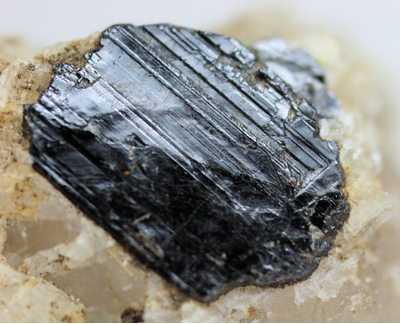 On Washingtonite (a New Mineral), the Discovery of Euclase in Connecticut, and Additional Notices of the Supposed Phenakite of Goshen [MA], and Calstron-baryte of Schoharie, N. Y. (Am Journ. of Sci. 43:364). Description: Benjamin discovered pollucite here in the spring of 1940; more was found in 1946 (Shaub & Schenck, 1954). Bruce, Archibald (1811). 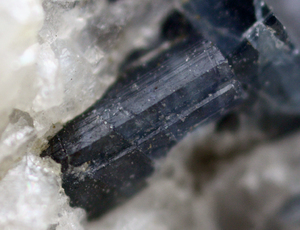 Indicolite. American Mineralogical Journal [Bruce's Journal] v. 1, p. 122-123. Gibbs, George (1819). 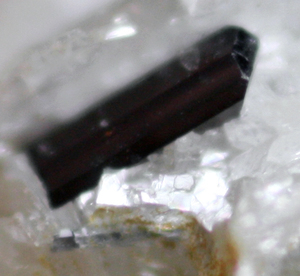 On the Tourmalines and Other Minerals Found at Chesterfield and Goshen, Massachusetts, American Journal of Science & Arts: 1: 346-351. Hitchcock, Edward (1825). 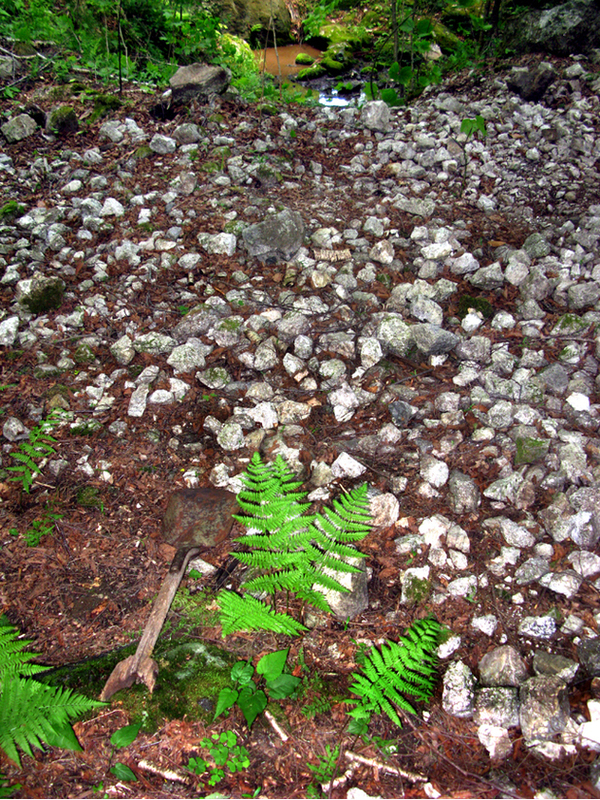 Notice of Several Localities of Minerals in Massachusetts, American Journal of Science & Arts: 9: 20-23. Hitchcock, Edward (1829) Tin in Massachusetts. American Journal of Science, 1st series, vol. 16, p. 188. Shepard, Charles U. 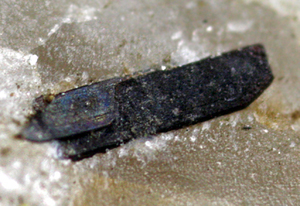 (1829) Discovery of columbite in Chesterfield, Mass. American Journal of Science, 1st series, vol. 16, p. 220. Shepard, Charles U. (1838). 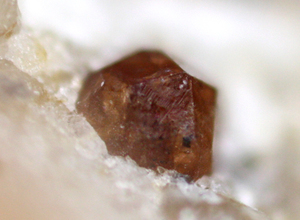 Notice of a Second Locality of Topaz in Connecticut, and of the Phenakite in Massachusetts, American Journal of Science: 34: 329-331. Shepard, Charles U. (1842). 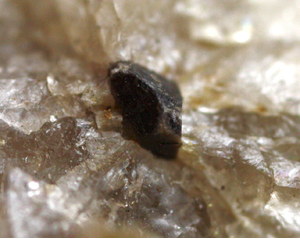 On Washingtonite (a New Mineral), the Discovery of Euclase in Connecticut, and Additional Notices of the Supposed Phenakite of Goshen [MA], and Calstron-baryte of Schoharie, New York, American Journal of Science: 43: 364. Mallet, J. W. (1856), On the Rose-colored Mica of Goshen, Massachusetts, American Journal of Science: 23: 180. Dana, J. and Brush, G. (1868), A System of Mineralogy. Julien, Alexis A. (1879). 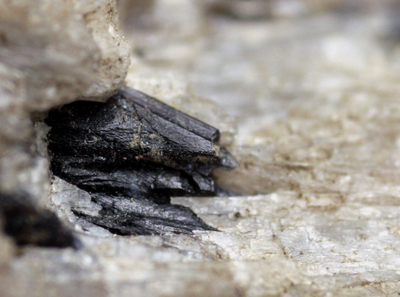 Spodumene and its alterations, from the granite veins of Hampshire County, Mass. in Annals of the New York Academy of Sciences, v.1, no. 10, p. 318-354. Hess, F. L., Whitney, R. J., Trefethen, J., and Slavin, M. (1943). The rare alkalis in New England: U.S. Bureau of Mines, Information Circular No. 7232, p. 40-42. Shaub, B. M and Schenck, B. J. (1954). 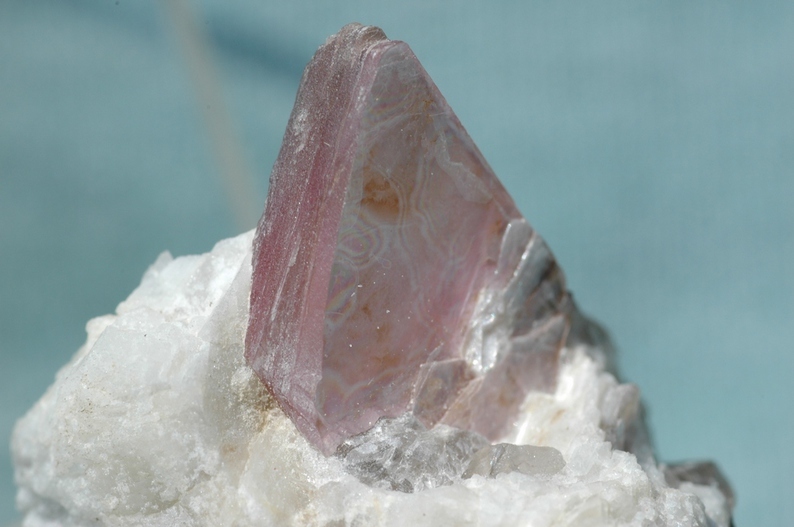 Pollucite From Lithia, Massachusetts, American Mineralogist: 39: 661. Januzzi, R.E. and Seaman, David M. (1976), Mineral Localities Of Connecticut and Southern New York State. Plante, Alan R. (1992). 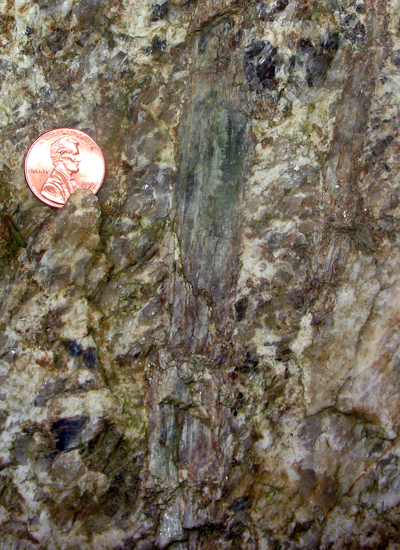 Western Massachusetts Mineral Localities, Greenfield Massachusetts, Valley Geology Press. Clark (1993), Hey's Mineral Index, 3rd Edition.